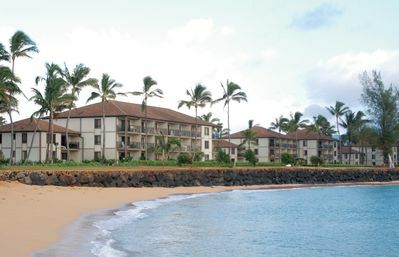 Beachfront Kapa'a Sands Studio w/ Pool Access! 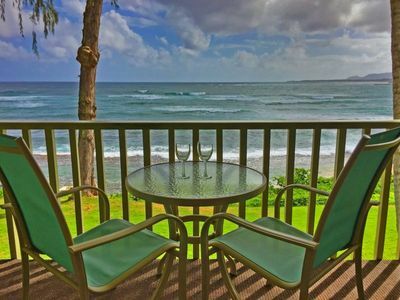 Your next romantic Hawaiian adventures starts at this lovely 1-bathroom Kapa’a Sands vacation rental studio that comfortably sleeps 2. 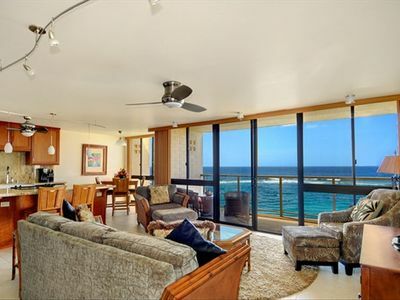 Perfectly situated in front of Turtle Beach on Papaloa Cove, this condo ensures a relaxing vacation in the sand and surf! 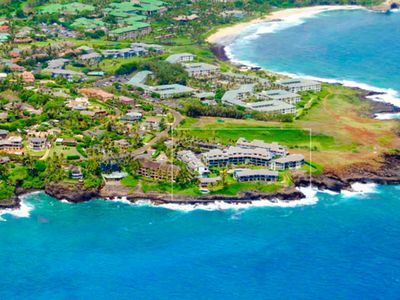 Explore all the amazing island adventures of Kauai or simply stay at home to sip cocktails in front of sparkling ocean vistas, swim in the community pool, or watch for turtles as you snorkel through the turquoise waters. 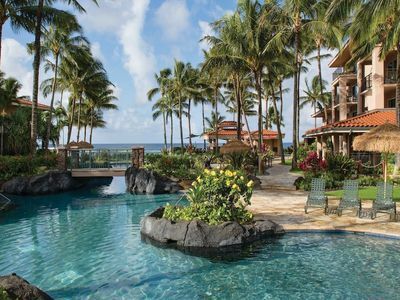 Welcome to Kapa’a Sands! 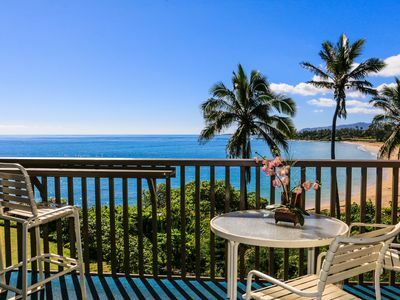 Offering a community pool, barbecue area and incredible beachfront location, this condo will quickly become a destination you want to return to year after year. 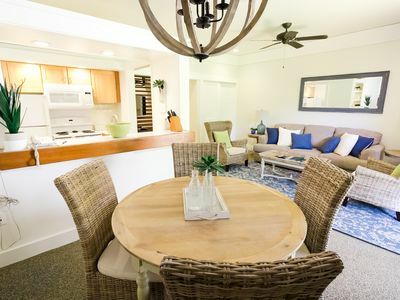 After a day of Hawaiian adventures, you’ll love coming home to unwind in this lovely studio, where you can watch your favorite shows on the flat screen cable TV or prepare a snack in the fully equipped kitchen. 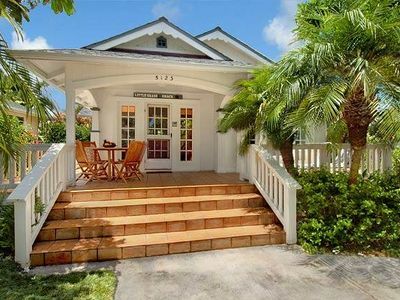 Step outside to enjoy a tropical cocktail on your private lanai, while you watch the vibrant sunset over the water. 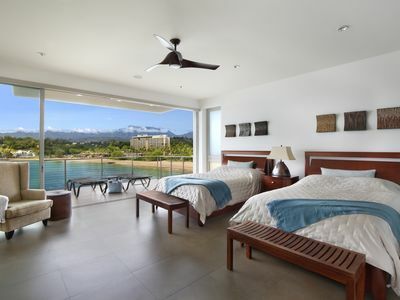 Come nighttime, you and your loved one can curl up on the queen bed and dream of tomorrow’s island adventures. 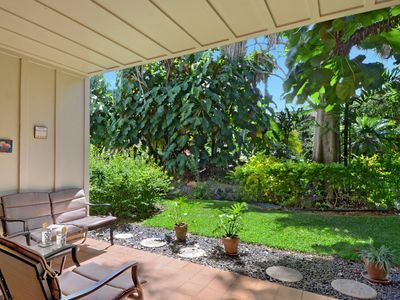 Keep the lanai door open to let the salty air breeze inside as you sleep. 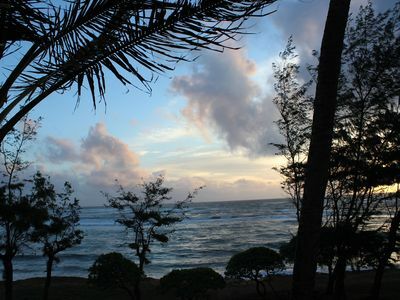 Lush rainforests and white-sand beaches make Kauai an ideal destination. 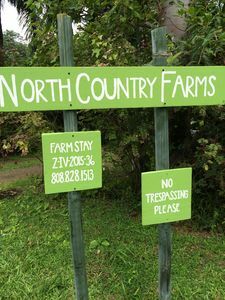 For the adventurers, you can access amazing hiking, kayaking, white-water rafting and more within a few minutes. The trek to see Wailua Falls is less than 45 minutes away in Wailua River State Park. And if you’re itching to get on the water, Rainbow Kayak Tours is just a 5-minute walk from the condo. If you have shoppers or foodies in your group, you can reach downtown Wailua by a mere two blocks. 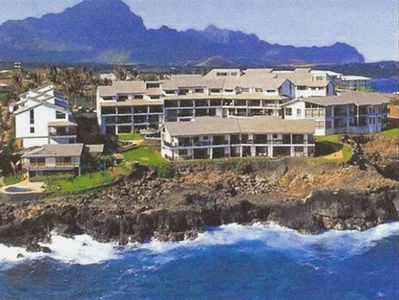 Stroll into town to experience the local culture at Smith’s Tropical Paradise Luau, or check out some of the island’s best restaurants and shops. Staying at this condo truly puts you in the middle of it all. 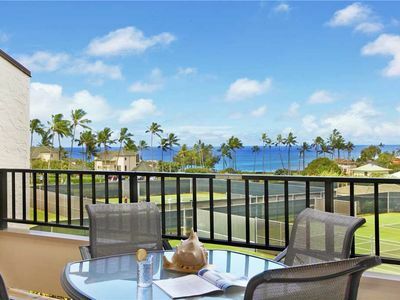 Experience paradise the right way - book this Kapa’a Sands condo for your Hawaiian getaway. 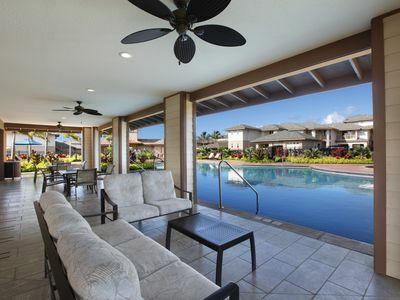 - Amenities include a fully equipped kitchen, flat-screen cable TV, private furnished lanai, stunning ocean views, gas grill, community pool, and much more. 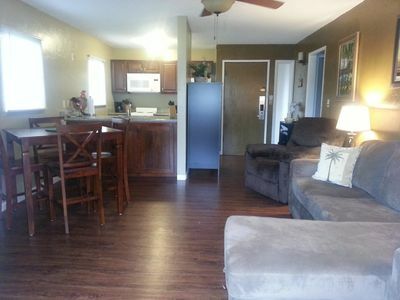 - Incredible beachfront location - Just steps to beach, easy walk to restaurants and shops, and short drive to hiking, kayaking, golfing and more! 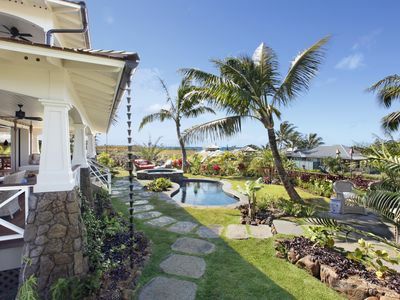 Kukuiula Makai Cottage #29: Sophisticated Elegance with AC and Pool in Poipu! 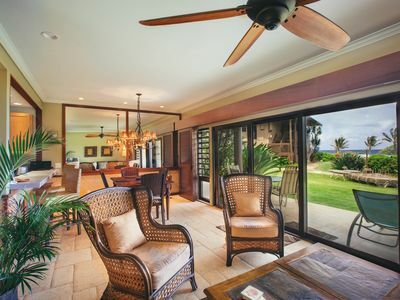 Beautiful 6 bedroom's for 12 ocean view Poipu villa! 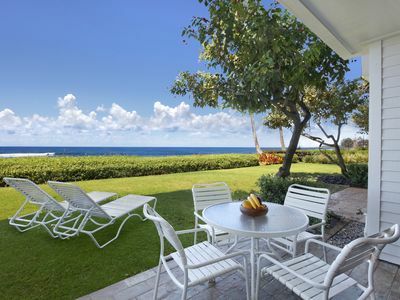 Stunning Marriott Waiohai Two bedroom villa. 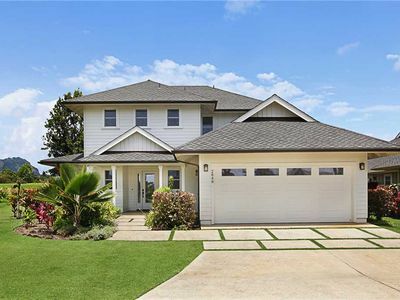 Reserve now with licensed brokers!